What if . . . the Titanic hadn’t sunk 100 years ago? Reading newspapers from the morning after the Titanic sank is almost like reading the first page of an alternate history novel. The Lowell Sun, the Boston Evening Transcript, and the Lewiston Evening Journal all reported similar headlines in their April 15, 1912 editions. Just imagine, though, that as the newspaper headline reads, those 1,517 people didn’t die on the morning of April 15, 1912, nearly a century ago. 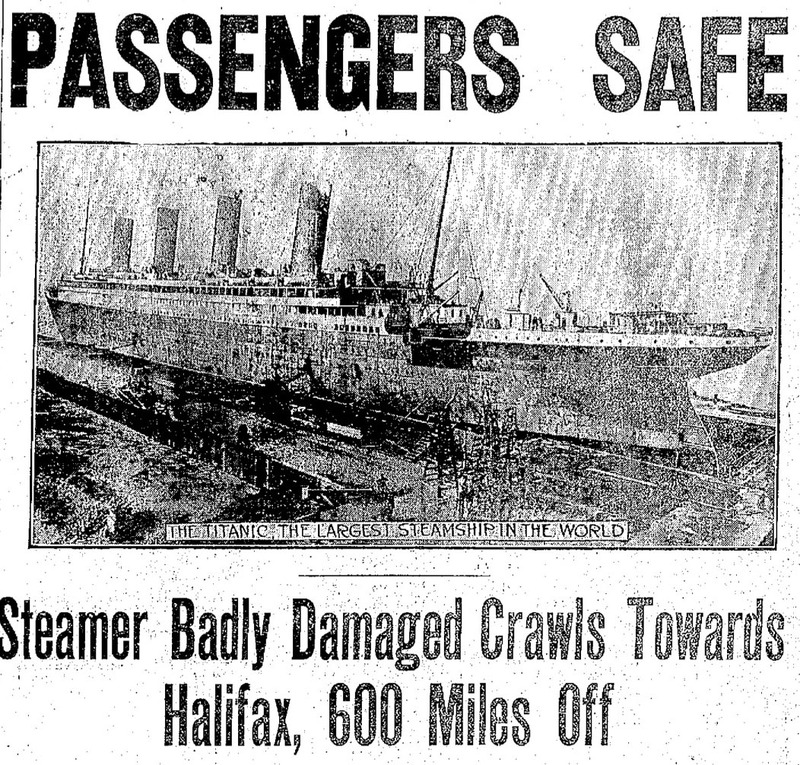 Imagine, instead, that the steamer had been badly damaged, and rather than sinking into the icy waters off Newfoundland, the damaged, but unsinkable sink crawled slowly toward Halifax, more than 600 miles distant. Early reports concluded that the passengers aboard the Titanic were likely all safe. Smooth seas and calm weather would have made for a successful rescue, anxious readers reasoned. Surely, Colonel and Mrs. John Jacob Astor IV, Benjamin Guggenheim, artist F. D. Millet, and writer William T. Stead were all safe. Initial reports received, until at least noon on April 15, 1912, indicated that the Titanic’s passengers had been moved onto the Carpathia, another steamship, traveling to Naples from New York City. 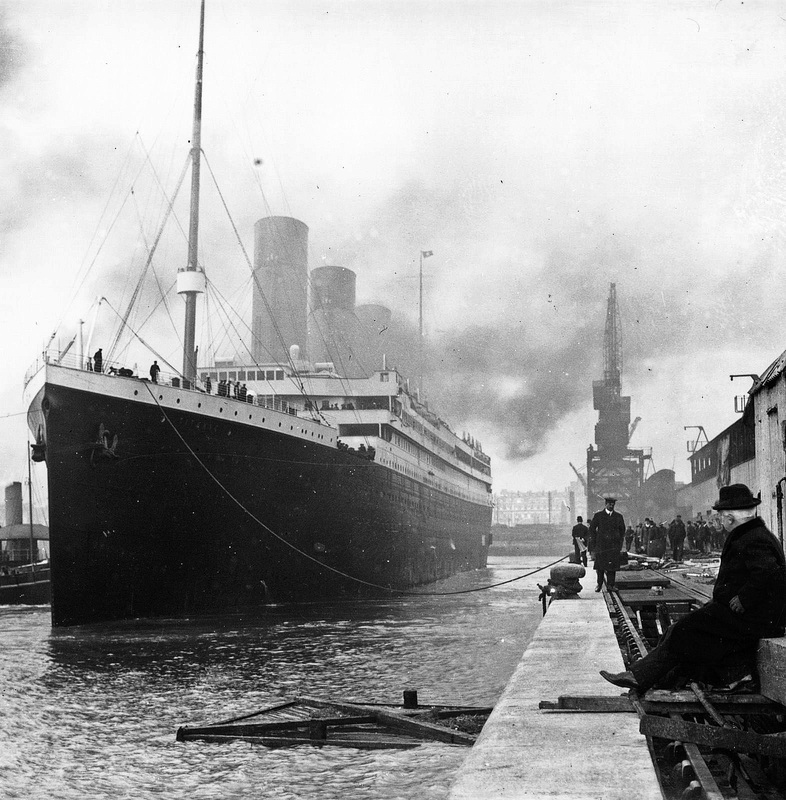 The Titanic could hold as many as 2,435 passengers and 892 crew, reporters stated. Twenty lifeboats had already met the Carpathia, they continued, and were already unloading as many as 1,200 passengers rescued from the damaged ship. And, surely, with other liners close by (and the Titanic still afloat), the Parisian, a Halifax-bound steamer from Glasgow, or the Baltic or Virginian were rescuing the remaining passengers. And, on the morning of April 15, a wireless message was received stating that the transfer of passengers was underway, they would be brought to Halifax, and then sent by train to New York. Wireless messages from the night before informed that the Titanic had struck an iceberg off Newfoundland at 10:25 PM on the night of April 14. The last message received from the Titanic had claimed that the doomed ship was sinking by the head. Women passengers were being loaded into lifeboats. (Photo Credit: Wikipedia) A passenger aboard the Carpathia took this photograph of the last Titanic lifeboat arriving, filled with survivors. The Virginian received the Titanic’s first SOS signal, and immediately began its journey full steam to its location. At about 170 miles away, it would arrive by 10 AM the next morning. The Olympic was just over 300 miles away. 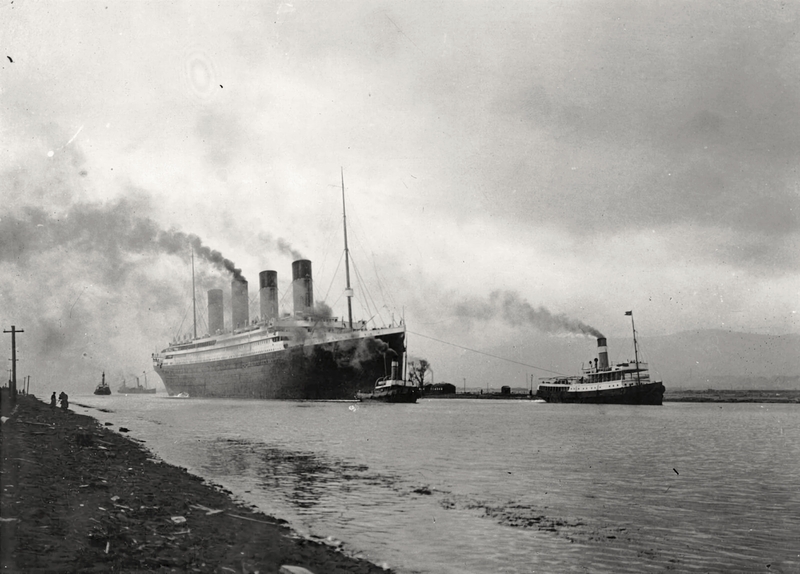 Initial accounts indicated that 1,470 passengers were aboard the Titanic. “All passengers are safe and Titanic [has been] taken in tow by the Virginian.” read one wireless message received at noon the day after the collision with the iceberg. If those words had been true, soon after John Jacob Astor IV, a real estate tycoon who had invented a bicycle brake and authored the 1894 science fiction novel, A Journey in Other Worlds, may have been rescued after he was last seen smoking a cigarette on deck with mystery writer Jacques Futrelle at 1:55 AM. Francis Davis Millet, a Mattapoisett, Massachusetts native who had painted murals in Boston’s Trinity Church, invented the first form of spray paint, and helped found the School of the Museum of Fine Arts in Boston, may have gone on to even greater artistic accomplishments. William Thomas Stead, a founder of the investigative journalism movement, may have had even more influence in the development of the tabloid press it ultimately created. And the hundreds of steerage passengers who lost their lives in the sinking would have had a chance to begin their new lives in the United States and contributed untold accomplishments to their new country. But, the truth was that, by the time Franklin spoke these words, the Titanic already lay at the bottom of the Atlantic Ocean. Its descent of more than two miles to the seabed had begun when it disappeared beneath the waves at 2:20 AM, carrying more than 1,500 people with her. Although the Titanic carried more than 2,200 people, its lifeboats could accommodate only 1,178, and of those spaces, nearly 500 were never used. Just 710 people survived the disaster. The sinking of the Titanic prompts the pondering of many ‘what if’ scenarios. As we approach the 100th anniversary of that night, it’s interesting to wonder how history may have been different if that night had passed like any other, and the Titanic had managed to avoid the iceberg, or, if the damaged ship had survived long enough to transfer its passengers to other ships. 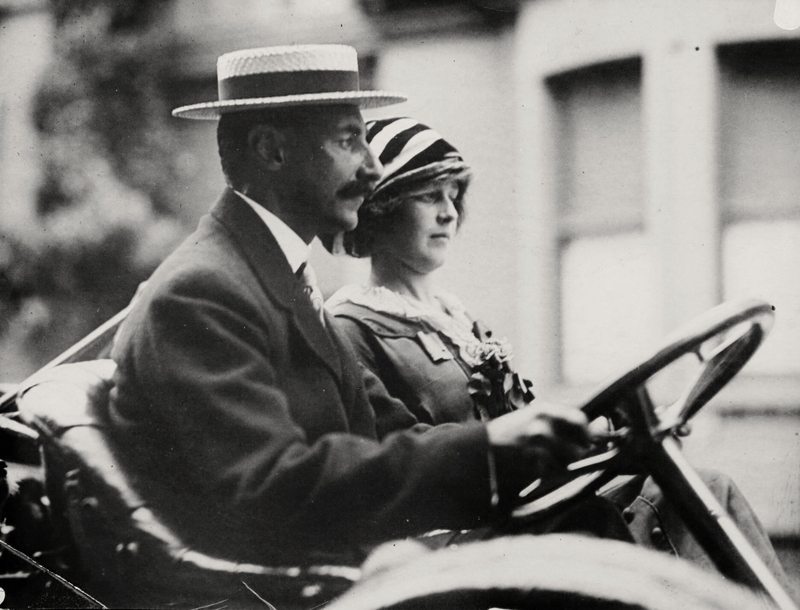 Instead, it sank, taking with it some of the age’s most prominent personalities as well as many other people who were only seeking a better life in the United States.